Charcoal colour has a gorgeous shimmer thru the fabric matching the Charcoal shimmer saddle pad. 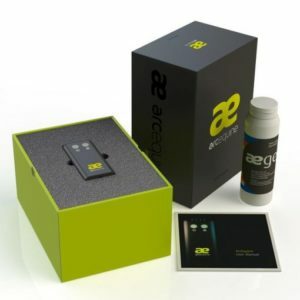 ArcEquine is the smallest microcurrent device in the world. It is a wearable, completely drug free, non-invasive pain management and tissue repair system designed for horses. The ArcEquine mimics the body’s natural biocurrents to boost the production of ATP within cells. ATP is the energy component of the cells and introducing a microcurrent from an external source into the body can increase ATP production by up to 500%, kick-starting and accelerating the body’s own recovery; allowing for the reduction of pain and inflammation, and for healing to start earlier. Lightweight, breathable micro fibre jacket with 2 hidden zip pockets. Flattering feminine cut in gorgeous soft Rose colour. The new seasons saddle blankets have arrived, in 9 new vibrant colours! Don’t forget the matching bandages. ANKY Saddle Pads feature the very latest in innovative materials. The exterior is a tactile suede while the interior is Coolmax and assures optimal moisture management. The thick technical filling ensures that the pad will remain perfectly in place. The exterior is long-lasting because it is made of 100% Polyester which also ensures strength and quality. The thick technical filling not only makes sure that the pad will remain in place it also protects the back and shoulders. It will prevent pressure places from coming into existence. Material mix jacket with hood and 2 way Rose Gold zip. Available in beautiful Sage Green and classic Black. $109.95. Matching Gala Beeches available. Superb quality and popular breech, perfect for competition, training and every day riding. Stunning snaffle bridle with stainless steel rose gold fittings. Curved browband with pink rhinestones, soft lined headpiece and noseband, includes web reins. Available in cob and full size. The new Kieffer saddle cloth features a high, contoured wither, designed for optimum comfort. A generous cut suits large horse, while a close quilting pattern creates the ideal surface for logo embroidery. Also available in Dressage cut. Such a lovely store with so many beautiful quality products. If you are wanting something special or a step up (maybe a few steps) from your regular saddlery this is the place to shop. The staff were very very friendly and helpful too, which is refreshing!! I loved my shopping experience at The Dancing Horse. I could have spend the entire day in the shop. There were so many beautiful and functional items I had never seen before. Garfield is a bit of a distance for some but an easy drive and would make for a fun girls shopping day out. My breeches I ordered arrived yesterday. Great service and easy to deal with 🙂 thanks!